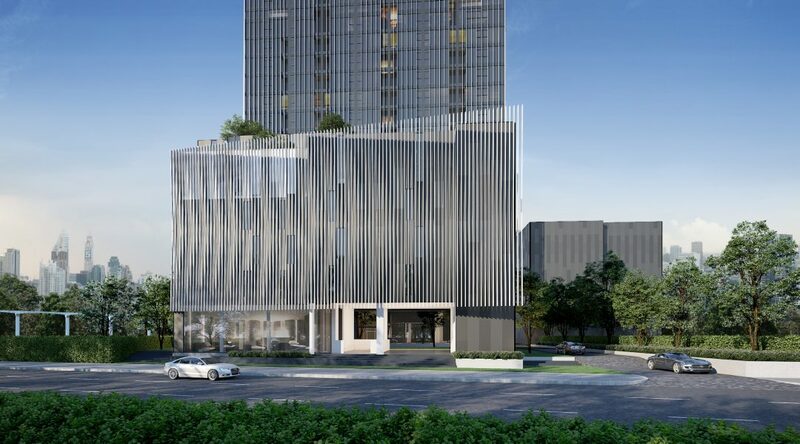 Siamese Ratchada is a mixed development comprises a condominium and a service residence tower with integrated mechanical parking in this prime location. Ratchada – Lat Phrao junction is an area that is well supported by infrastructure. 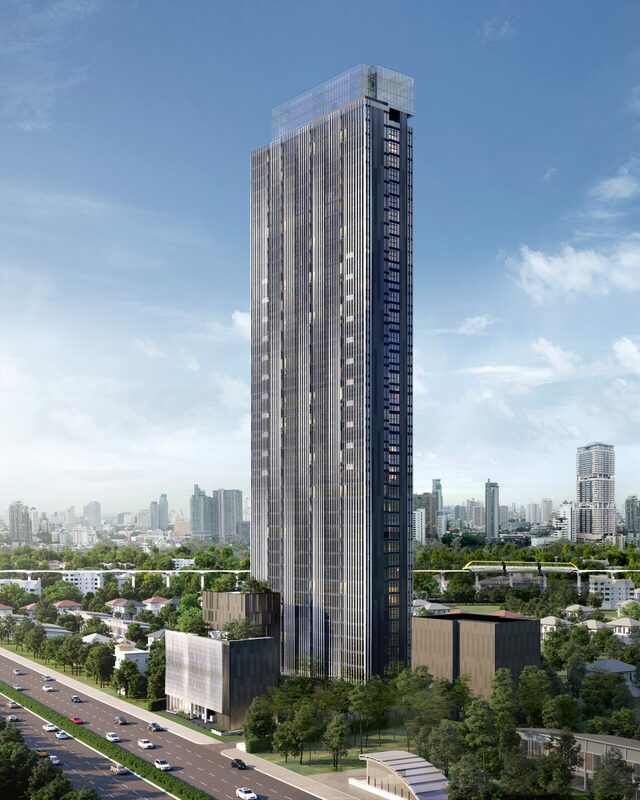 Which connects a large residential area to the north along Lat Phrao Road and with the new CBD to the south where Ratchada meets Rama9. Land value is rising as well as the traffic jam, the solution is to create high density developments around the mass transit hub. 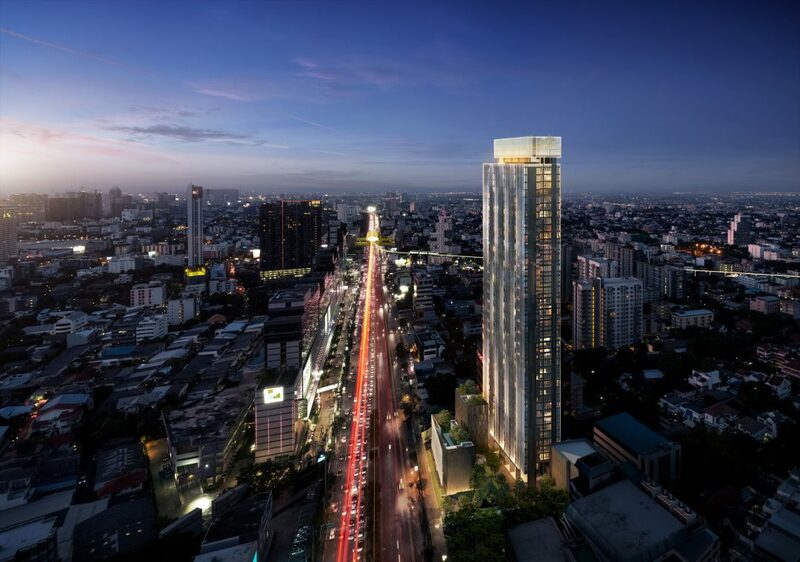 Developing a successful commercial project in the heart of Bangkok has become a challenge with the rising land prices. 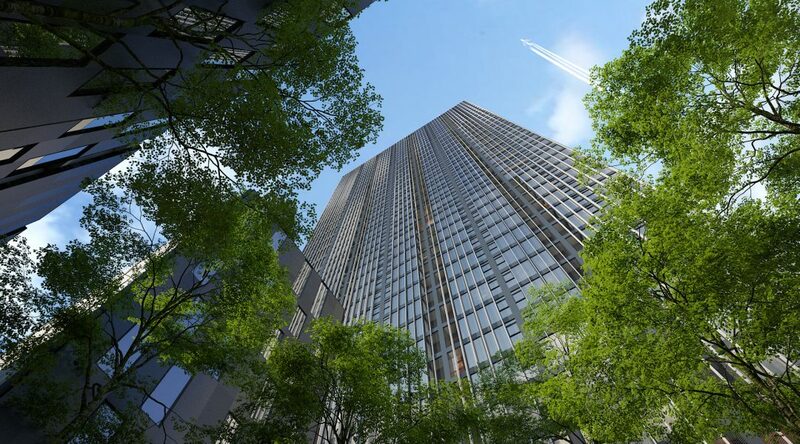 The design solution proposed is to dedicate the majority of allowable build up area into one single residential tower and separate other functions into dedicated buildings. 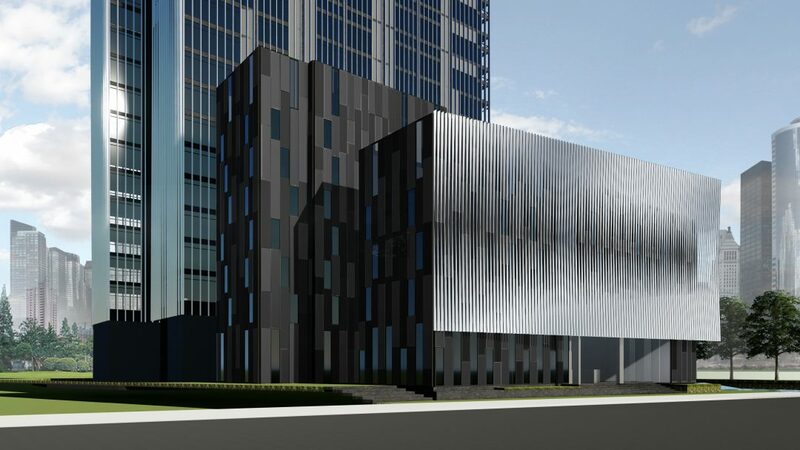 Thus, resulted in higher planning efficiency as the core and structural elements do not have to accommodate multiple uses within one building. 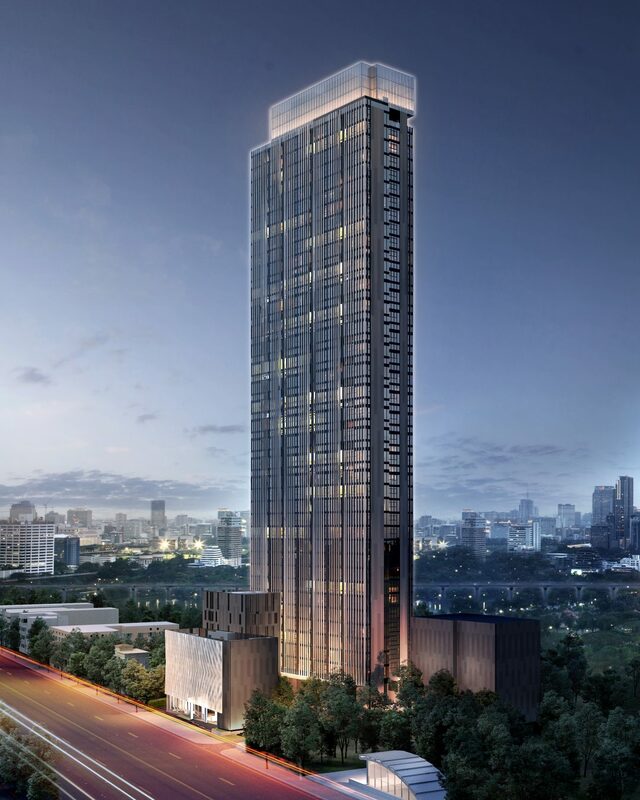 Whereas other towers of similar density planning might have to compromise with deeper units and narrower windows to achieve the target saleable area, for Siamese Ratchada however, all units have widest openings. The tall residential tower is located at the rear of the site while the others are located at the front of the site. The front towers are low rise towers and they are designed to have large open space at ground floor to allow pedestrians to walk through into the landscaped plaza at the centre of the project. As such the front low-rise towers acts as a threshold and a gate for the project. The high rise and low-rise towers are treated with different design languages. The residential tower is wrapped with protruded aluminium fins for shading and privacy. 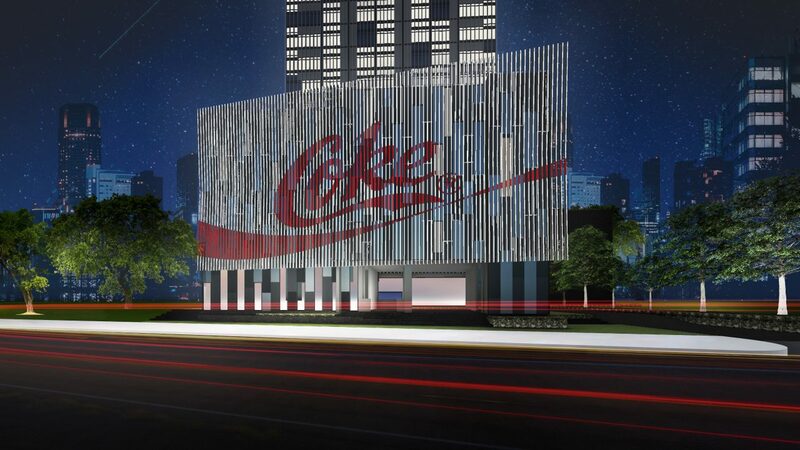 Whilst the office tower is wrapped with shorter fins, that are integrated with facade lighting which will become an interactive urban media art for the passerby. This project is an example that variation of uses can be integrated into the same site where people can live, work and play. Client Siamese Asset Co., Ltd.
Earth and Sun Co., Ltd.